Specialising in custom hydraulic lift solutions, Hydrax Limited is a leading supplier for hydraulic applications and equipment, including goods lifts, passenger lifts, cylinders, power units, and a wide selection of spares. Hydrax supports everything, from design, to installation, to servicing. For older lifts, Hydrax offers repair, refurbishment and modernisation services. Regardless of your hydraulic or lift requirement, Hydrax provides the solution. Hydrax’s expertise in design, manufacture and installation has also extended to large scale industrial projects. Such bespoke projects require innovative solutions, and Hydrax steps up to the challenge and provides a high quality result every time. 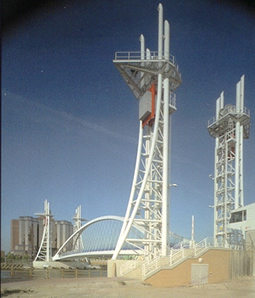 An example of one such project is Manchester’s Millennium project; The Lowry Bridge. 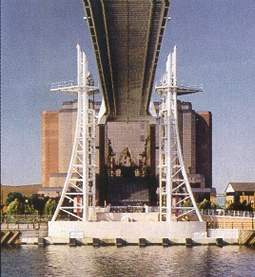 Hydrax designed and installed the main power units required for the raising of the bridge, as well as it’s other functions.